LEXINGTON, Ky. (Nov. 20, 2018) — Nine students from the University of Kentucky chapter of the National Association of Black Accountants (NABA) recently traveled to St. Louis, Missouri, for the NABA Central Region student conference, where UK student Ariel Brent won a $1,000 scholarship sponsored by Plante Moran, one of the nation’s largest certified public accounting and business advisory firms. Lecturer Olivia Davis, of the Gatton College of Business and Economics Von Allmen School of Accountancy, accompanied the students on the trip, which was supported by a Student Government Association grant the students pursued themselves. The Office of the Vice President for Institutional Diversity and the Von Allmen School also provided funding for the experience, where students participated in professional development workshops, attended a career fair, and had the opportunity for on-site interviews with several companies, many of whom do not recruit on campus. Davis, who earned both her bachelor’s and master’s degrees in accounting from UK, expressed how proud she was of the students. "I have attended the NABA Central Region conference a number of times in the past as both a student and an accounting professional,” Davis said. “This year marked the transition to a new chapter in my life as a member of NABA, serving as faculty advisor for the first time. I enjoyed sharing the experience of the conference with the students as I helped them navigate the career fair and select professional development sessions to attend. These students were presented opportunities to interview for internships and full-time careers at the conference, as well." 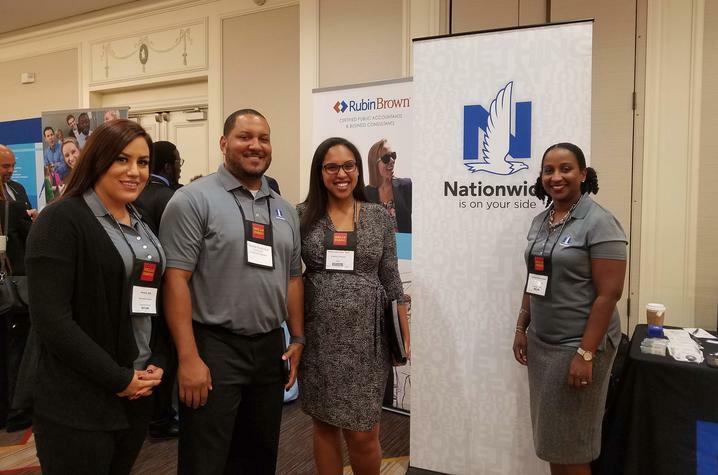 NABA Inc. hosts four annual student conferences in Central, Eastern, Southern and Western regions of the U.S. Students attending the conferences are pursuing undergraduate or graduate degrees in accounting, finance, economics management, information systems, and general business. The Central Region conference averages over 250 student attendees representing more than 30 universities. UK's NABA chapter is a student organization based out of the Gatton College. The chapter, which meets biweekly, has won multiple awards for excellence and is open to all minority business majors/minors. The club's mission is to help minority students network with professionals and develop essential business skills, along with providing service to the Lexington community.